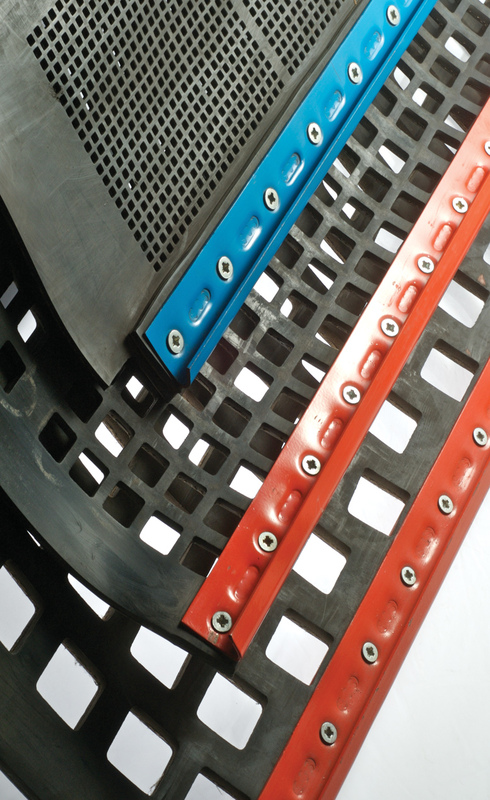 Manufactured from high wear resistant materials. These screen mats are ideal as complete decks on larger screen boxes or as an impact section prior to wire mesh. Available in square, round and elongated apertures to suit every type of grading requirement. Polyurethane screening surfaces have been in use for many years and have proved very economical due to long wear life and low maintenance requirements. Polyurethane possesses superior cut, tear and abrasion resistant properties. The mats tension strength is achieved via stainless steel wires moulded into the polyurethane running from hook to hook. UR1 (Below Left) – Generally used in conjunction with woven wire mesh protecting the screen from wear. 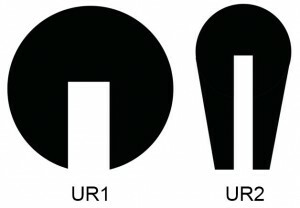 UR2 (Below Right) – Generally used in conjunction with rubber screens. The longer leg helps prevent the capping rubber from being pulled off the support bar as the rubber is side tensioned into position.